Farm to Table 2017 | ¡VidaMaz! The first two events ROCKED—al fresco dining in an organic vegetable field, with eight or nine courses prepared by a group of fine local and international chefs. The meal includes two main proteins and free-flowing wine and cocktails served by professional waiters and eaten family style with an interesting and eclectic group of people. It’s a magical afternoon and evening, ending after the incredible colors of sunset over the fields segue into the darkness. Plus, the raffle at the end benefits a charity, so we can feel good amidst our gluttony. Click on any photo below to enlarge it and read captions or view a slideshow. The 2017 Farm to Table will be held on Sunday February 12 from 1-5pm at Chuy Lizárraga’s (Chuy’s Organics) farm just north of Mazatlán at Kilometer 21. The stellar team of chefs has been slightly different each year, in order to keep things fresh and creative. In 2017 we can look forward to the work of Alastair Porteous, Water’s Edge Bistro; Gabriel Ocampo, F.I.S.H. Fresh International Seafood House; Daniel Soto, El Caprichito Mío (Culiacán); Luis Osuna, Cayenna Cocina del Mundo (Culiacán); Elmo Ruffo, La Fiera; Karl Gregg, Blue Print Group (Vancouver); and Francis Regio, Regio Hospitality Group (Vancouver)—seven chefs working together to delight our palates and souls. Participating chefs are committed to organic food and the farm to table concept. Chef Alastair co-founded the event and continues to lead it; Sarah Emerson, Marianne Biasotti and Chuy Lizárraga have also been with the effort since the beginning. The chefs work as a team to prepare every dish, though one chef takes the lead on each course. Sarah Emerson from F.I.S.H. compared Alastair to a symphony conductor, as he works with the chefs individually to plan a menu that brings out the strengths of each. Preparing a gourmet, farm-fresh meal in a field is no easy task, but I can personally vouch that they do a splendid job. 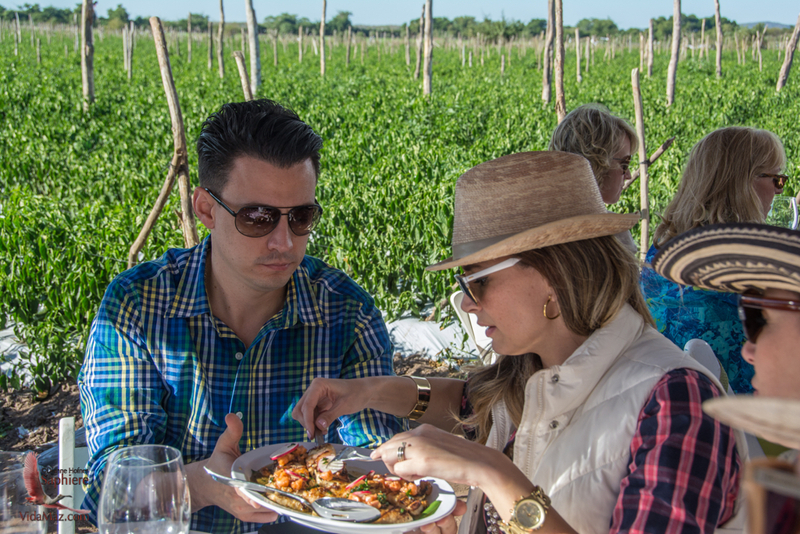 Most of the chefs even pick their own produce right in Chuy’s fields! Tickets this year are 1400 pesos and will be available at Water’s Edge starting today, Tuesday December 13th, and at the restaurants of the participating chefs shortly thereafter. This dinner will make a wonderful Valentine’s gift. The Sunday event will take place from 1-5pm. You can drive to Chuy’s farm, or there will be bus transportation available via reservation for a separate fee. I recently had the pleasure of hosting Sarah Emerson from F.I.S.H., Yamil González from La Fiera, and Chuy Lizárraga from Chuy’s Organics in my home for a conversation about the upcoming event. 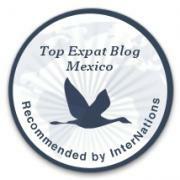 Pour yourself a glass of something delectable, and sit down to listen to them tell the FTT Mazatlán story. Are you curious about which chefs have been involved in the Farm to Table dinner? Below is a handy dandy little table. Ok, Marianne isn’t a chef, but she has prepared a drink each year, and a delicious one at that—so she is included. The first year FTT benefitted the non-profit organization Avicultores Pérez Vidaña, an award-winning non-profit organization in Sinaloa that assists low-income families with severely handicapped children by teaching them to raise chickens and eggs for food. It also helped out the educational programs of our local Mercado Orgánico. Last year Farm to Table raffle prizes benefitted Floreser, the home for young women fleeing domestic violence. This year’s charity has, at press time, not yet been decided. Cocktail-wise, the first year highlighted Onilikan. Last year we had beers from Tres Islas, our local microbrewery, and cocktails made with Los Osuna. In 2017 we’ll be joined by Tequila Agatha from Jalisco. The cocktail to be featured is a surprise! I look forward to laughing, drinking and eating with you there! Did I miss the information on price? Yes, Starr. The tickets are 1400 pesos. Hope to see you there!